Dmytro Kiva's position was abolished. 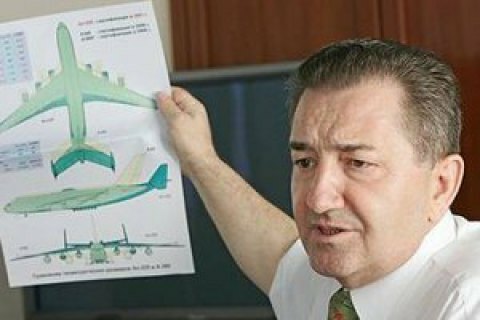 Former сhief вesigner of the state-owned aviation concern Antonov Dmytro Kiva moved from Kyiv to the Azerbaijani capital Baku, where he will be engaged in the creation of the national aviation industry. "Yes, I made the decision. It was quite deliberate. I hope I will be able to implement aviation projects in the interests of Azerbaijan," the Russian news agency Rambler News Service quoted Kiva as saying. "My position in the ASTC Antonov has been simply abolished. Far as I know, this was done on orders from high above. So i just had no choice," Kiva stressed. Kiva has developed the military transport aircraft An-70, passenger AN-148 and AN-158, regional passenger aircraft An-140 and military transport aircraft An-178. Kiva was born in 1942 in Kazan, in 1965 graduated from the Kharkov Aviation Institute. Since 1964, he worked in the Antonov Aviation Scientific-Technical Complex. In 2006 he became the chief designer of the state-owned company and headed in two years. Last June, Kiva was replaced by Mikailo Hvozdev as Antonov's CEO but reportedly remained Antonov's general designer.